Last month saw the advent of my 30th birthday (don’t worry, I’m sure your card was just lost in the post!) which called for something fun, fancy and a little bit fantastic (and definitely involving food). We opted for local ‘restaurant with rooms’ Winteringham Fields , having been unaware of its existence until it was recommended to us a few years ago when we were thinking aboout trying The Fat Duck (which we eventually did). Apparently Elton John and David Bowie have dined here and if anyone knows opulence and extravagance it’s those guys. If the name sounds familiar it may be because the restaurant and staff were featured on Gordon Ramsay’s Best Restaurant TV show (I’m not sure if that’s the exact name – I didn’t watch it myself as I find Gordon Ramsay a truly repellant human being on every level). Hidden in the teensy weensy village of Winteringham (over t’Humber Bridge, hang a right on the A1077 and if you hit Scunthorpe you’ve gone too far) the establishment is a beautiful former 16th century Manor House. 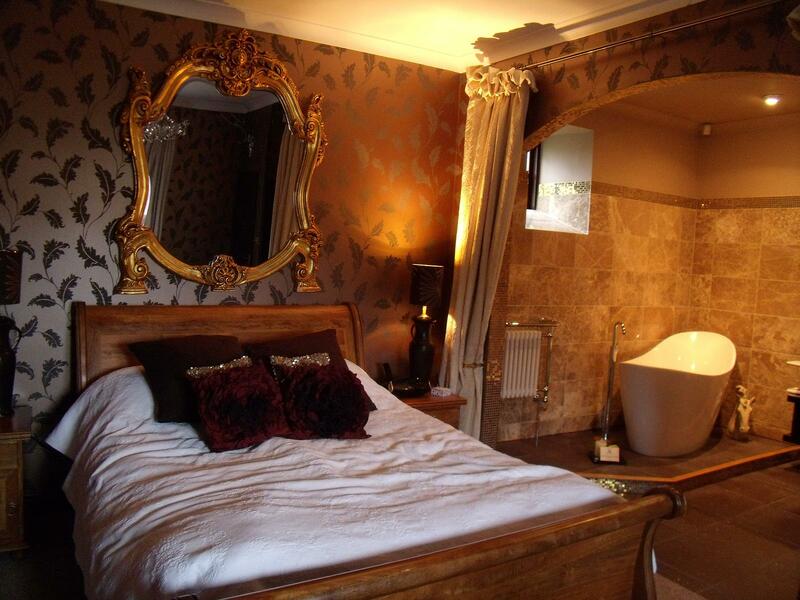 Pushing that boat right out, we decided to stay the night and I chose the Turpin Suite (just look at the picture for why!) which lies a short walk from the main house. Complimentary biscuits (biscotti) and drinks (hot chocolate/cappuccino) judged, bed tested (coma inducing) and bath utilised (is there anything more decadent than watching Final Score while having a soak?!) it was time to dine. Ushered into a plush lounge/drawing room and presented with THE BIGGEST MENU EVER, we were given a nice long time to peruse the choices, aided by a glass of Bombay Sapphire and a celeriac soup amuse bouche. Though I was tempted by the Lobster Risotto, being a sucker for tasting menus and anything Alice in Wonderland related, we finally opted for the Menu Surprise which was illustrated with quotes from Lewis Carroll’s classic and comprised seven dishes. Over the next three or so hours we were presented with an array of dishes and flavours – squid ink bread sticks, quail (which I’ve added to the very small list of things I just don’t like the taste of), warm mackerel salad, lamb, lemon souffle, petits fours, ‘fancy KitKat’, pistachio ice cream – all beautifully cooked and served. There wasn’t the same ‘molecular gastronomy’ bent that the Fat Duck is famous for but the two establishments are not really meant to be compared. Winteringham Fields offers (and delivers) fine French cuisine in luxurious, relaxed surroundings but could adequately hold its own in any category against Mr Blumenthal’s house. The real treat for me was the cheese trolley. Yes, not a cheese board but a cheese trolley. For so plentiful were these cheeses that they needed their own transportation, lest a waiter attempt to carry them unaided and collapse from the exertion. The knowledgable and friendly maître d’ explained each of the cheeses – it’s type, origin, flavour – while I tried to remember to shut my mouth so he wasn’t swept away by a tsunami of drool. I would have happily paid just to sit on that trolley all night and eat my own weight in cheese until someone mistook me for a giant mouse and chased me off with a broom. Alas, that wasn’t an option. Next morning’s breakfast wasn’t quite as decadent but with cereal, toast, croissants, cheese, meats and pain au chocolat, no-one was about the starve. To be fair, my focus was mainly on a boorish male guest who, the previous night, having used his ‘outside voice’ for the majority of the evening, making crass jokes and shouting over at other diners, had proved that money can’t buy class and, no doubt, mortified his ‘ladyfriend’. The fact that he arrived at breakfast alone and looking somewhat sheepish gave rise to speculation (between N and I) that his companion had decided not to invite a repeat performance of his excruciating behaviour and had opted to breakfast in her room OR he’d simply not (*ahem*) put enough money down to afford her company the following morning. Such is the way our minds work. Whatever the reason, he was certainly more subdued. I, however, was positively buoyant – amazing food, great company, wonderful service and a beautiful room in a gorgeous little rural village – another spot-on birthday in the bag, 30th birthday related nervous breakdown avoided, smug faces all round. 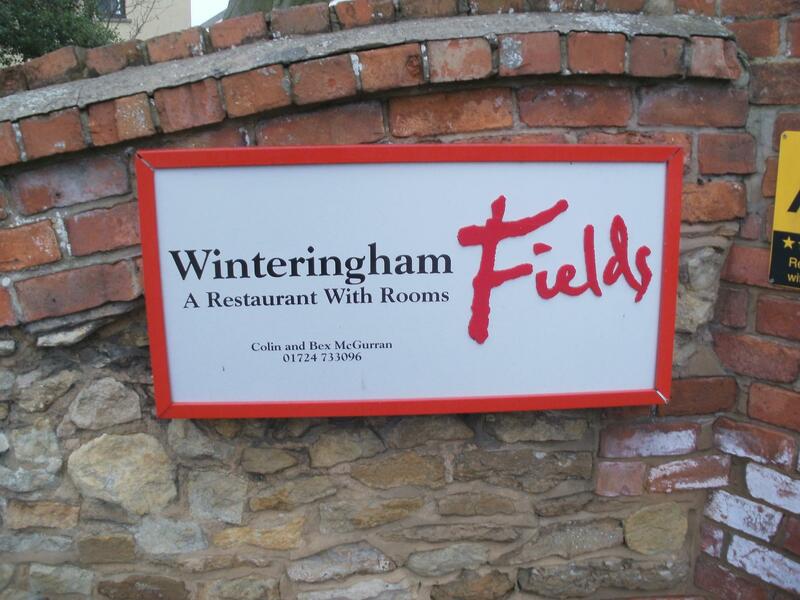 Winteringham Fields proves that not all the UK’s best restaurants reside in capital cities, many of them are even (*gasp*) in the North! And some are even on your doorstep, you just have to keep your ears (and mouth!) open.